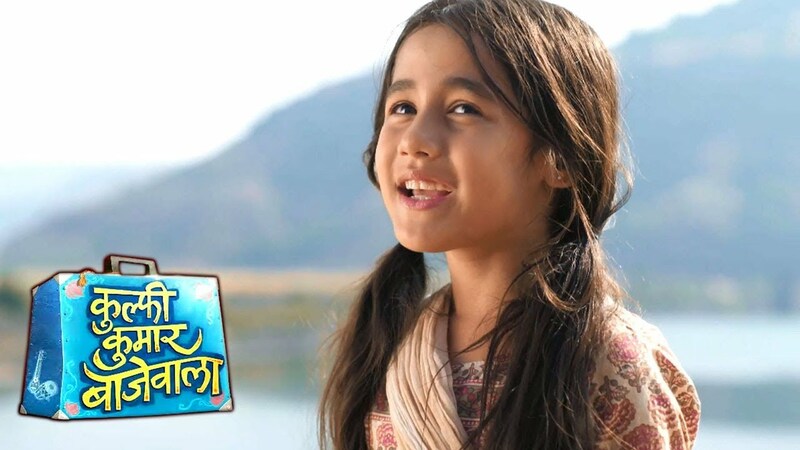 In the latest update of Kulfi Kumar Bajewala 1st November 2018 Lovely poisons to Amyrah’s mind against Kulfi. She sad to bad things to Amyrah about Kulfi. In today’s latest episode Kulfi wakes up early and goes to her father, Tevar as it is her first day at school. She asks him that to wake up so that she can give the test and then leave for Chirauli. Sikander is sawed that he was singing his favourite song and remembering about Nimrat. Amyrah wakes up and hearing the Sikander’s beautiful song and he tolds to her that it is his favourite song. She said to him that she likes to hear this song and she feels happy to listen to this music. Amyrah then remembers that how her mother Lovely had told her about the Kulfi’s mother and how she will lose her friend. To knew this she feels so sad. Sikander asks that Amyrah to get ready soon so that they can take Kulfi to school for the test. Kulfi was little fear about her test. Amyrah gets scared and she tolds to Sikander that she and Kulfi can be friends and not the sisters. Listen to this statement from Amyrah, he was getting shocked. He can not understand that why she said this. Kulfi sports the school dress and gets ready for her first day. Sikander prepares food for Amyrah and also packs the lunch for Kulfi. he gets her ready for her school but Amyrah said that Kulfi’s father should cook the food for her and not others. Amyrah asks Sikander that where was he when she went to her school. Amyrah says that he always forgets about her and runs away. Lovely asks Amyrah that to do something that Kulfi should go away from their life. Lovely manages to poison Amyrah’s mind against Kulfi and asks her to make sure that the Kulfi does not get admission in her school.